Synopsis: Having mastered Earthbending and survived the battle with Azula, Aang, Katara, Sokka, and Toph must now enter the Fire Nation so that Aang can master the final element. Once in the Fire Nation, they learn about the plans Firelord Ozai has to use Sozin’s Comet to spread the war’s destruction and his authority over the four nations. With lots to learn and very little time to do it, the group will have to rely on unexpected alliances if they are to help Aang realize his destiny. Our heroes have had it surprisingly easy so far, compared to the challenge they face entering the Fire Nation and defeating Firelord Ozai. The story and the world continue to build on itself as we are introduced more fully to the people of the Fire Nation and Aang begins to embrace the idea of himself as the Avatar, though he still has some reservations about what this role means for him. Katara and Sokka have grown up significantly since the beginning of the series, and have developed into warriors in their own way as they help Aang master the elements. And even though Toph has only been with the group since the previous season, she is becoming more of a team player and a more compassionate person. Zuko has changed noticeably as well, but has he changed for the better or will he fall back into old habits? The art in the series is continually solid and lovingly animated to send our heroes out with a bang as we work toward the four-part finale that brings the series to a close. It’s sad, sweet, funny, and everything we love about the series, but it is still hard to say goodbye to these characters that we have been cheering for. 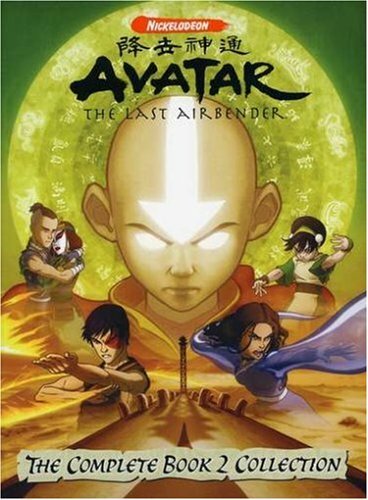 But we can always go back to the beginning and start the series over…or The Legend of Korra…. 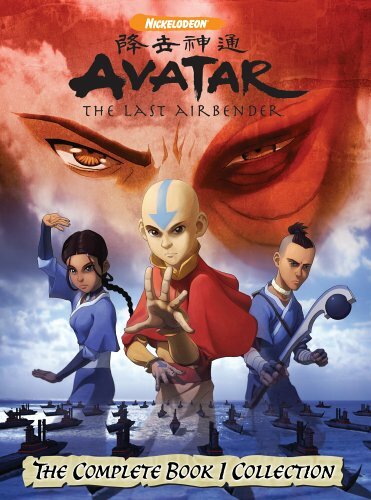 Synopsis: For a hundred years, the Fire Nation has threatened the freedom of the Water, Earth, and Air nations in a war that will likely destroy life as the people know it. So when Katara and her brother Sokka find Aang, a young boy chosen to become the master of the four elements known as the Avatar, frozen in a giant iceberg near their home, they have hope that perhaps the war will soon be over. The three friends set off on a journey to help Aang master the art of water-bending on his way to becoming the man that will help restore the world order. I don’t remember what possessed me to watch this series initially, but once I got started on it, I couldn’t stop. The story, the world, and the characters are exceptionally crafted and it has a certain all ages appeal that makes it something really special – at least for me. The world of Avatar is one that is both ancient and futuristic, but for me falls more into a fantasy genre more than anything. The peoples of the Air, Water, Earth, and Fire nations each have their own distinctive traditions, ways of life, and unique elemental manipulation skills called bending not unlike the cultures of the modern world and do bear certain resemblances to our modern peoples. The characters are three-dimensional right from the first episode: Katara is a young girl that cares very much for her family and wants to be able to find out what happened to her lost mother; Sokka is a little girl-crazy, but he is loyal and fights to take care of his sister and his family; Aang is young and irresponsible and struggling with having the shoulder the responsibility of being the Avatar, but with Katara and Sokka’s help he’ll become the savior that the world needs. 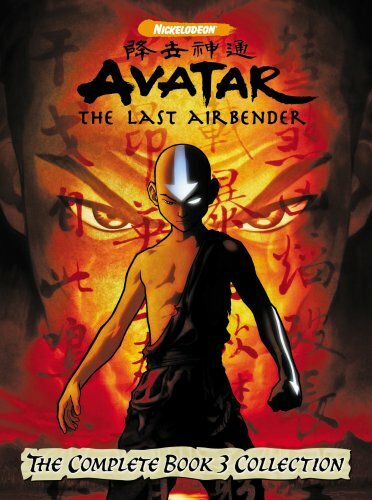 Funny, mysterious, and visually moving, Avatar: The Last Airbender is a fun and engaging series that explores the notions of children in war and the larger destiny that we have waiting for us. Synopsis: Four best friends from Minnesota suddenly find themselves transported to LA to become the next big pop group, but fame is definitely not what it seems. Kendall, James, Carlos, and Logan have definitely traded up from math tests and hockey, but hair and makeup coupled with an eccentric producer makes life much crazier. The boys struggle with their efforts to balance show biz with real life, but is it too much or really a dream come true? I’ll be honest: I don’t know what about this show appeals to me – the boys, the humor, or the story – but I can’t seem to stop watching. Maybe it reminds me of the boy bands I grew up with – N*Sync and the Backstreet Boys (wow, I’m totally dating myself) – or maybe it reminds me of that desire we all have to be famous. Either way, I like it. 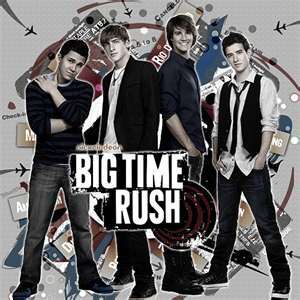 Granted, not everyone likes it, nor do they particularly care for the band, but Big Time Rush has managed to make its mark in the music world and in television. Each boy has their own personality and sense of humor, but what I like the most is the way they play off of each other’s strengths and weaknesses. The four boys are also quick to support each other and stand up for each other no matter what crazy schemes they seem to get themselves into. Fame may not be everything, but the friendship of Kendall, James, Carlos, and Logan is something definitely worth watching. Synopsis: Carly Shay is a normal teenager living with her older brother (who is an artist) in a posh Seattle loft and loves hanging out with her friends Sam and Freddie. Carly, Sam, and Freddie have a weekly web show, iCarly, that has become a huge success. Now, the three must balance their school work and their relationships with the web show on top of trying to come up with new material every week. Since her parents are overseas, she relies on the help of her friends and her brother Spencer to help her out and keep everything as normal as possible. The show is funny and heartfelt in its portrayal of young teens trying to balance fame on top of trying to live a normal life that sometimes feels anything but normal. Carly, Sam, and Freddie seem to find themselves in the oddest of situations, but this humor is part of what makes the show so enjoyable. We turn it on every week to see Sam and Freddie bicker, Spencer try to sell some of his strange artwork, and Carly find a way to hold everything together and sometimes keep her friends from seriously hurting each other. I find it somewhat illogical that Carly and Spencer could live in the apartment they do with Spencer’s sporadic monetary intake and their parents virtually non-existent, but since television shows exist to make us all disillusioned about the real world, I will let it slide. Most recently, the cast of the show Victorious made an appearance in a crossover episode with iCarly that was so totally fun, it makes it hard to wait for new episodes! 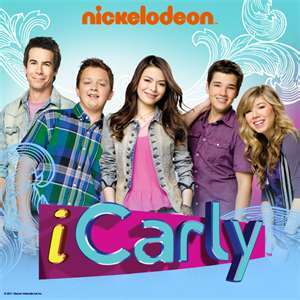 You can also watch videos, play games, take polls, and more at http://www.icarly.com/.